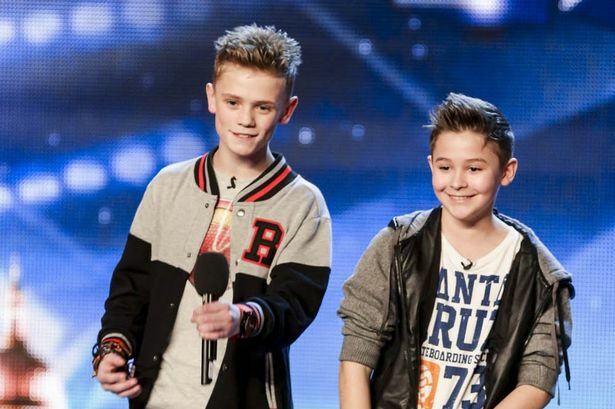 Britain’s Got Talent stars Bars and Melody to release debut single Hope! Bars and Melody, finalists in this year’s Britain’s Got Talent, are releasing the song they first wowed the judges with – called Hope. Charlie Lenehan (age 15) and Leondre Devries (aged 13) came third behind Lucy Kay and winners Collabro but now they’ve signed to judge Simon Cowell’s record label Syco – great work boys! The duo were Simon’s ‘golden buzzer act’ which meant they got to go straight through to the finals! Hope is their debut single and is all about saying no to bullying. You can learn more about bullying and how to get help if you or a friend are being bullied on the Childline website. Watch them performing Hope on Britain’s Got Talent. Are you a fan of Bars and Melody? Let us know in the comments below!